I asked Marissa to share her thoughts on balancing the self while raising a family. Today’s post is dedicated to mothers from all walks of life. Hats off to you! Everyone’s lives are completely different. At 33, and even as a mother of three I am still learning. A while back I found myself constantly comparing myself to others. I would ask myself, why don’t you do that as a mother? Why aren’t you in better shape? That woman has three children and she can find the time to work out, why can’t you? All this did was cause me to feel even worse about myself. It wasn’t until I took a step back, and thought why are you comparing yourself to others? The only person you should be trying to be better than, is the person you were yesterday. So now the only person I am in competition with is the woman I was yesterday. Every day I work on becoming a better mother, friend, mentor…person in general. The woman who is still learning from her mistakes and decisions on a daily basis. The woman who will continue to make mistakes because she is not perfect, but the beauty in this is that I am no longer striving to be. In general I believe women are the hardest on themselves. I find that I critique myself more than anyone else I know and that no matter what, I always pick at the things that I could be doing better rather than taking a look at the things that I am already doing well. I am a work in progress-so just recently I decided to be more positive in my everyday life and the things I do. Instead of getting down on myself for not looking like a model I praise myself for the days I ride my bike, get in my 10,000 steps, and eat healthy. I no longer feel guilty that I can’t be the “room parent” in my child’s classroom and instead have volunteered to read to his class every other month because that is something that I can do. I no longer feel guilty for being a career mom who may be out of the house more than she is in the house because I know that I am teaching my daughters that they too can be both one day. 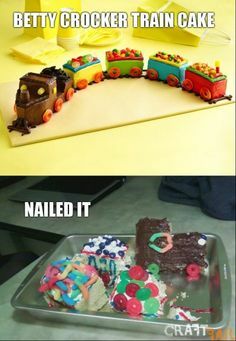 I have also decided that I am no longer going to make myself feel guilty that I can’t pull off a Pinterest-themed birthday party for my 3-year old. Chuck E. Cheese is a completely acceptable place to hold a birthday party. The hardest thing is being honest with yourself. I will always have something to work on. So will everyone else. I may not be the best cook, the best mother, the best friend that I wish I could be, but I am doing the best I can under the circumstances that I live with every day. Once you get past that, the rest comes easier with time. In today’s day and age it is almost impossible not to compare yourself to others. Especially when you can see other’s lives unfold in front of your eyes via social media. Don’t forget that you too want to portray the best version of yourself on these venues… We all do, it is simply human nature. Just be happy with who you are. And if you aren’t, then change who you are for the better. Be better than who you were yesterday. After all, isn’t that what we are all striving for? To be better than who we were yesterday.